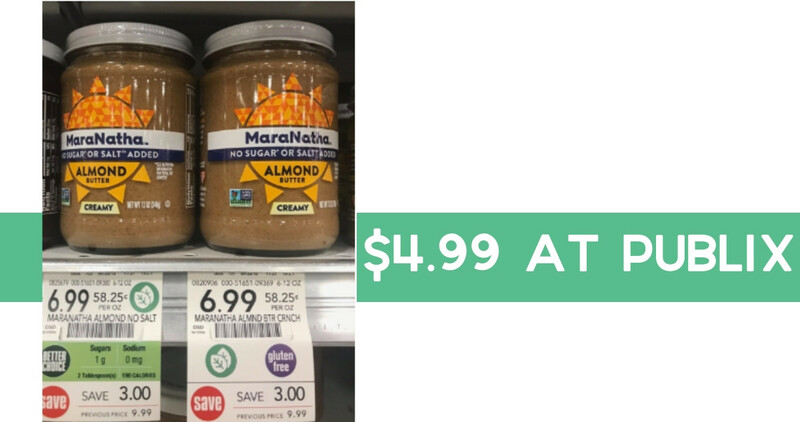 Use a printable coupon to get a good deal on MaraNatha almond butter! Head to Publix to get it for $4.99. Note: This almond butter is on sale at Publix right now, but the price could change back to the original at any time. Head in soon to get the best price! This deal is valid for a limited time.